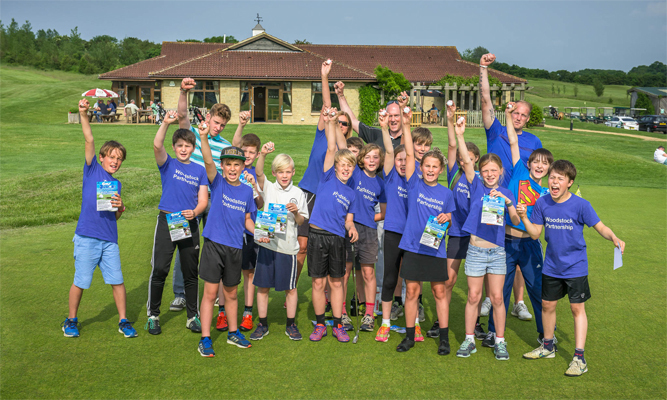 Kirtlington GC plays an active role both regionally and nationally when it comes to raising best practice standards at UK golf clubs. In recognition of this, we were one of the first golf clubs to be awarded the Junior GolfMark in October 2005. The club was re-accredited with the upgraded ‘Golf Mark incorporating ClubMark’ award in September 2008. Clubmark is Sport England’s national accreditation scheme for high-quality community sports clubs. It recognises the highest standards of welfare, equity, coaching and management. The Clubmark criteria is based on four key areas of club development, which are incorporated with the GolfMark criteria, so once a club is awarded GolfMark, they have also met the required standards in Clubmark. GolfMark has recently been updated and enhanced to better meet golf club requirements in today’s challenging commercial landscape, with an increased focus on improving business practices and development while also supporting the delivery of the club priorities within the forthcoming England Golf 2017-21 Strategy. Golf clubs are asked to meet a number of ‘essential requirements’ in the four areas. These are a set of standards aligned to Sport England’s Clubmark criteria. They need to be maintained annually by golf clubs through an annual action plan. Golf clubs can also work towards ‘High Performing Areas’ which will help to support their future development. By implementing these areas and accessing the appropriate guidance and support, this will help certain golf clubs to become true high performers.